Daily, Sunrise to Sunset; Park gates may remain locked if fields are not allocated for organized play and the Bowie Ice Arena is closed. Allen Pond Park is the City's premier 85-acre multi-use park which is home to the Bowie Ice Arena, Robert V. Setera Amphitheater, Bowie Skate Park, and Allen Pond, a 10-acre stocked pond. The park is also home to Opportunity Park, which offers 100% accessible experiences at its preschool and school-aged playground. 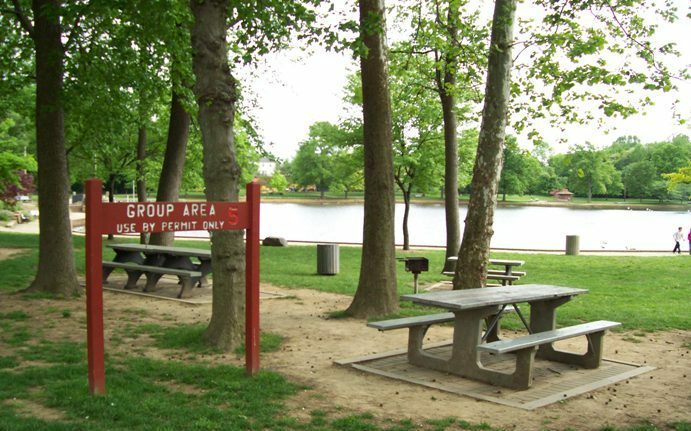 It is one of two major Bowie parks (Allen Pond Park and Whitemarsh Park) that offer picnic facilities for rent. Learn more about reserving facilities within the park. Fishing is allowed from the shore only at Allen Pond. Persons 16 years of age and older must have a Maryland fishing license (obtainable at Maryland Department of Natural Resources).